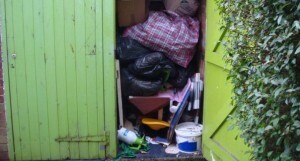 Do you need garage clearance Chingford E4? If so, we can help. We’ve been supplying garage clearance Chingford residents trust and are happy to recommend to family and friends for almost 15 years. 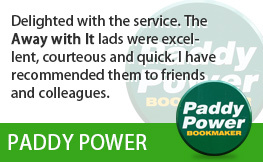 They love our fast, flexible service and affordable prices. And we’re sure you will too! If your garage is becoming impossible to navigate and there’s no space for your car then it’s probably time to call in the garage clearance experts. Or maybe you’re moving house and need to get rid of years of accumulated junk? Whatever your reasons for needing garage clearance in Chingford we will be more than happy to get rid of all your unwanted junk. Everything from old toys and sports equipment to paint cans, broken garden tools and car parts. 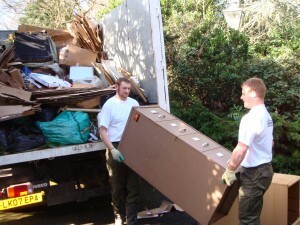 So, let’s take a look at how we work and what you can expect when you choose us for garage clearance Chingford. 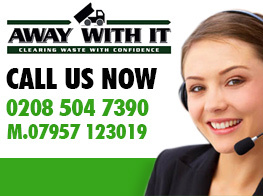 We are not like some waste removal companies who turn up whenever they please and then charge the earth for a shoddy job. 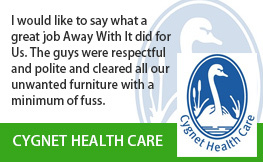 We work tirelessly to earn the goodwill of each and every one of our customers. Which is why so many of them come back time and again to use our services. We operate from 7 in the morning to 11:30 at night 7 days a week so we’re always there when you need us. If you want us to come early in the morning, late at night or on the weekend that’s not a problem. We fit around your schedule. 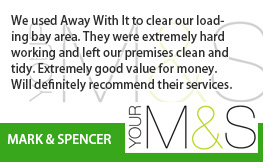 And in most cases we are able to arrange a collection the same day you call to book our service. 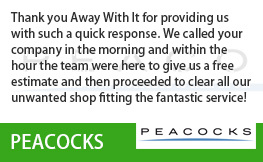 When you arrange a collection we’ll give you a two-hour time slot for our arrival. That way you won’t have to wait in for us all day and can get on with your normal routine. We’ll always call an hour ahead to let you know our estimated time of arrival. Before you book we’ll give you a free estimate of the cost based on the information you give us. On arrival we will carry out a visual inspection so we can estimate the amount of space your waste will occupy in our vehicle and then give you a firm quote. With more than fifteen years experience we are usually able to estimate this pretty accurately. We believe in full transparency when it comes to pricing. 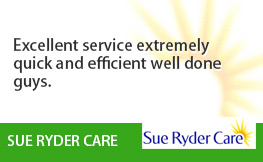 Our quote will include all labour, transportation and disposal fees with no hidden extras. That way there are no unpleasant surprises at the end of the job when it’s time to settle the bill. 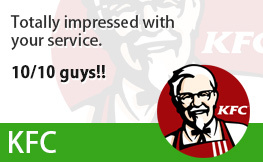 All our team members are 100% dedicated to your satisfaction. If we have to move junk through your house we will put down our own dust sheets. And after the job is finished we will always sweep your garage and driveway and leave them clean and tidy. 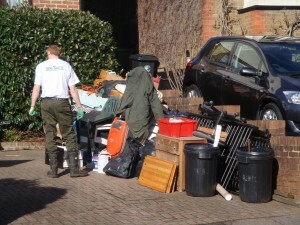 To speak to a member of our friendly and experienced team about your requirements for garage clearance Chingford just give us a call on 0208 504 7390 or 07957 123019.